​Premier League leaders Liverpool are allegedly interested in signing Red Bull Salzburg striker Moanes Dabour. The Reds, who are currently without a victory in January, sit four points clear at the top of the league table and have booked a place in the last-16 of the UEFA Champions League, but could do with additional acquisitions to cement their place at the top of the league table by May. The ​Anfield club are in search of additional firepower up front, following the disappointing form of strikers ​Divock Origi and Daniel Sturridge (who have seven goals between them this campaign) and the departure of Dominic Solanke to ​Bournemouth, and the Israeli international is reportedly on Liverpool's wish list, according to ​Estadio Deportivo, via Sportsmole. Dabour has been in terrific form this season for the Austrian champions and has contributed to 26 goals in 30 appearances in all competitions, netting netting 20 and providing six assists. In total, the Israeli has netted 55 times in 110 appearances for the club and helped the side win successive Austrian Bundesliga titles. He was the top scorer in the league with 22 goals last season and could provide ample competition for ​Roberto Firmino, who has ten goals this campaign for Liverpool. 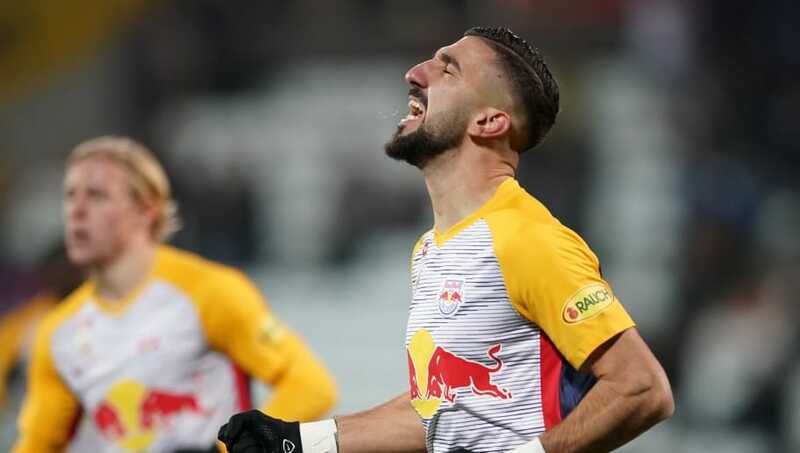 Dabour has a contract with Salzburg until June 2021, but reports from ​Estadio Deportivo suggest that the striker is unhappy at the Austrian side and is hopeful of an exit this month, with Liverpool among the potential suitors. However, Jürgen Klopp's men are not the only ones interested in the Israeli striker. ED has also indicated that both Valencia and ​Fulham are intrigued with Dabour and have enquired as to the availability of the Israeli's services.